In recent months, Manhattan Federal Court Judge Shira Scheindlin has been at the forefront of the debate on New York City’s ‘Stop and Frisk’ policy, ruling the practice unconstitutional under the Fourth Amendment protection against unreasonable search and seizure. Judge Scheindlin’s 195 page decision on August 12th found that senior officials in the city and the NYPD were acting purposely indifferent to police officers conducting unconstitutional ‘Stops and Frisks’. She claimed that for much of the last decade, patrol officers had stopped innocent people without any reason to suspect them of wrongdoing. In 2012, 685,000 ‘Stop and Frisks’ were executed with the majority of recipients being Black or Latino. Her ruling established that such practice amounts to "indirect racial profiling" by targeting Blacks and Latino disproportionate to their populations and this results in a violation of the 14th Amendments “Equal Protection Clause”. New York City Mayor Bloomberg, who is a firm believer in the ‘Stop and Frisk’ strategy, has criticized Judge Scheindlin’s ruling and maintains that the decision on August 12th was ‘unfair’. It is a devastating loss for him as he sees this NYPD policy as a crucial factor in the city’s efforts reduce crime. He accused judge Scheindlin of purposely denying the city “a fair trial” and within hours of the decision vowed appeal. However on September 17th Judge Scheindlin controversially rejected Bloomberg’s request to put her ruling on hold, believing that to do so, "[w]ould essentially confirm that the past practices, resulting in hundreds of thousands of stops…overwhelmingly of minorities…that resulted in little or no enforcement action or seizure of contraband were justified and based on constitutional police practices." Despite the claims of high-level City Officials, Judge Scheindlin did not mandate the abolition of the ‘Stop and Frisk’ policy. Alternatively, it was her intention to call for reform on the matter and believes that “such activity be conducted in accordance with well-established controlling law from both the United States Supreme Court and the Second Circuit of Appeals.” Judge Scheindlin has suggested tackling the reform through the use of a monitor that will ensure that all practices will comply with the Fourth and Fourteenth Amendments. She appointed Peter Zimroth, former chief lawyer for the City of New York, to oversee policy reforms and monitor future ‘Stop and Frisk’ practices to ensure that racial minorities are not wrongfully targeted. She has requested that the New York Police Department construct a pilot program which will require officers to wear camera’s on their person so communications with citizens can be documented. City Officials have criticised this decision and Bloomberg claims “No federal judge has ever imposed a monitor over a city's police department following a civil trial”. In fact, Bloomberg has gone as far to say that Judge Scheindlin’s actions could result in the reversal of New York City’s “Long standing crime reduction.” However Judge Scheindlin holds her position and maintains that the “only action required of the city to date is attendance at meetings with the monitor.” It seems, despite Judge Scheindlin’s argument opposing the current ‘Stop and Frisk’ policy, she still faces strong opposition from City Attorneys. Corporation Counsel Michael A Cardozo stated, “The city remains committed to reversing the District Court’s underlying decision”. A second appeal has been submitted to the Second Circuit Court of Appeals and Mr Cardozo believes this is necessary as without a reverse on the decision, public safety is at risk. 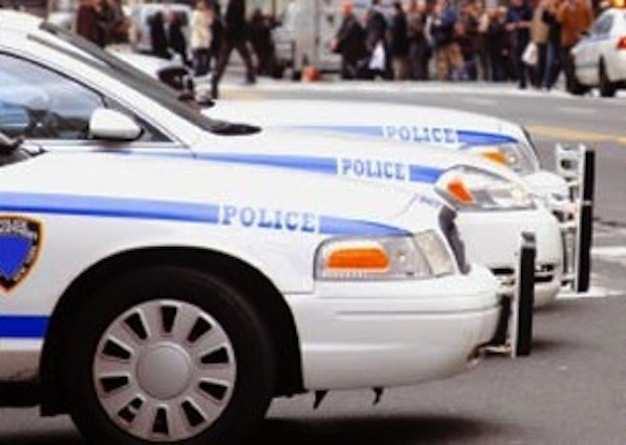 Over 500,000 records of data collated through the ‘Stop and Frisk’ policy is to be deleted from the New York Police Department database following a lawsuit filed in 2010 by the New York Civil Liberties Union. Bloomberg Administration has agreed to a settlement that forces them to delete all the names and addresses of people they have stopped in the past 9 years, within 90 days. Studies show that 90% of those who have been subject to the ‘Stop and Frisk’ strategy walk free. However their details have been logged onto the Stop-Frisk database and so if they are to be stopped in the future and are already on the database, they instantly become a target despite the fact they may be completely innocent. Most individuals who are stopped are completely unaware that their details have been recorded. Christopher Dunn, associate legal director of the New York Civil Liberties Union and lead counsel on the case, emphasised that the deletion of these records will put a stop to the misplaced scrutiny “completely.” He believes that this action will confirm what has been the feeling from the beginning – that this database was “not a useful law enforcement tool” despite the police department contending it as a legitimate use of resources and beneficial to any necessary investigation. One of the leading plaintiff’s on the case, Lino, is a black male who has been stopped at least 13 times by police officers. Despite being found innocent on all accounts, his information was still stored in the database. He says that he feels a sense of relief at the decision to delete the Stop-Frisk database and stated, “It is humiliating enough to be stopped and frisked for no reason, having your name and address kept in a police database only prolongs the indignity of it”. Khan was another whose case was at the forefront of the argument and played a persuasive role in the settlement decision to erase all records. He is also due receive at $10,000.00 in damages. It appears that in one sense the ‘Stop and Frisk’ policy has served New York City well in terms of decreasing crime levels however the price has been the civil liberty of millions of New York citizens. It is clear that regardless of whatever reform is to be instilled, the Black and Latino community have suffered tremendously from the ‘Stop and Frisk’ policy due to the state turning a blind eye to what is so clearly obvious. If you feel you have been denied your civil rights by the NYPD and you want to sue the cops, please contact us for a free consultation.